Zafferano, or ‘saffron’ in Italian, is the first name when it comes to an all-round Italian hospitality experience. Inspired by the prized value of saffron and its flower containing 3 stigmas, called threads. Zafferano focuses on value and 3 threads of Food, Service, and Ambience. With its 43rd-storey perch, amazing rooftop lounge with panoramic views of the Marina waterfront, and provenance-led, contemporary Italian cuisine. 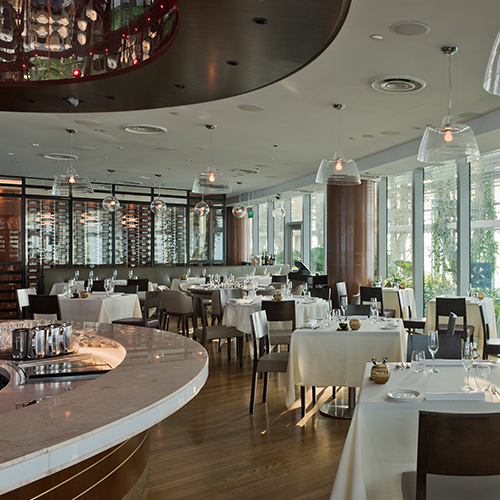 Zafferano is posed as the most vibrant all-occasion destination in the heart of the business district. With an emphasis on the authentic and evocative flavours of Italy, dining at Zafferano is distinguished by contemporary interpretations of Italian cuisine highlighting provenance and seasonality. The finest and freshest produce sourced from growers and artisans all over Italy are crafted into a seductive symphony for the senses, infused with natural yet intense flavours that can be savoured in a medley of ways: à la carte, tasting menus, business lunches and dinners tailored for two.